I just got back from an entire week away from training camp and even more impressive, without my daily internet addiction. No Facebook, Twitter, email, teamTBB forum, blogging, blog reading, or Skyping… and I survived and it was totally worth it! yeah, I can't read it either. Where did I go? Off to Nakhon Si Thammarat, the province northeast of Krabi and a 3-hour bus ride away. This would be the other half of “living the Wongstar dream”–yes my teammates and I are all “living the dream” but mine is a little different. I’m trying to become the best athlete I can be while also helping out with making prosthetic legs when and where I can in the different countries we go to, and learn more about prosthetic healthcare internationally. 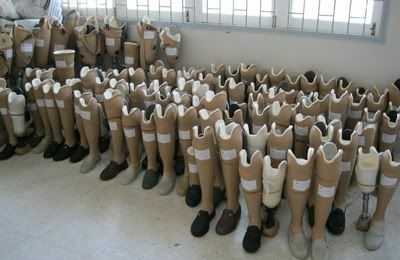 seriously, that's a lot of prosthetic legs. 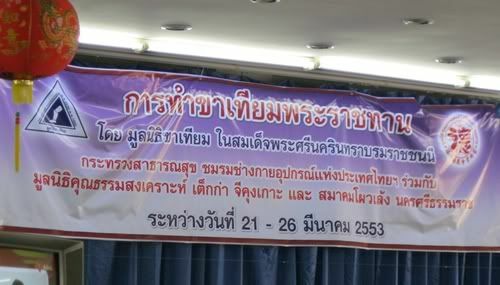 The Prostheses Foundation provides prosthetic legs for amputees all over Thailand who cannot afford them (and also in the neighboring countries of Laos, Malaysia and Burma…and yes I still call it Burma as my mom was born and raised there). 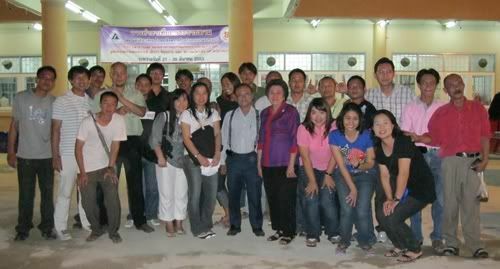 The foundation is based in Chiang Mai but has a “mobile clinic” that visits various regions of Thailand about 5 or 6 times per year. Kind of like going on tour with a rock band! 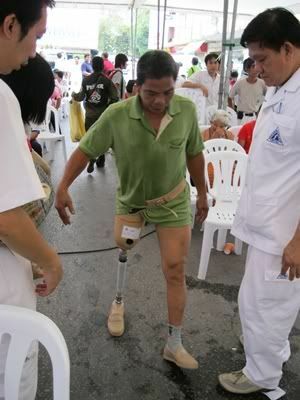 making life better, one leg at a time! I was very lucky that they were coming somewhere relatively close to Krabi while I am still here, and that it didn’t fall during a race! So with Coach’s permission I took off and am so happy I did. What an incredible experience! I had no idea what a big endeavor this mobile clinic was until I got there last Sunday. 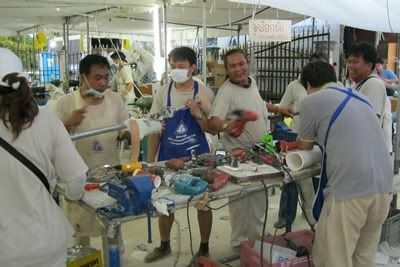 There were over 60 volunteer technicians and prosthetists from all over Thailand that came to make 186 prosthetic legs for the 168 patients that came from the southern provinces. The 186 legs were made from start to finish in only 4 days–which is just absolutely unheard of. Even at home in the USA it would take at least a week to make one from start to finish. And to make almost 200 legs?! It was just AMAZING. It still blows my mind how incredible this whole thing is, and how well it works. I will do a more thorough write-up soon but here are some photos from the latest prosthetic adventure! this cute 2yo boy was everyone's favorite! Where's Wongstar? hiding behind the legs! 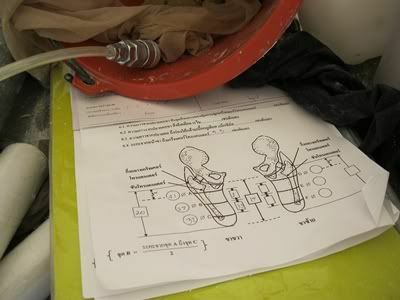 This entry was posted on Saturday, March 27th, 2010 at 11:38 pm	and is filed under prosthetics. You can follow any responses to this entry through the RSS 2.0 feed. Both comments and pings are currently closed.